Since this is the first month of the year, I'm sure everyone has new fitness goals that they want to achieve. Exercising is great, but eating clean and working out goes hand in hand. You can't do one without the other. I know there's a lot of debate over organic versus non organic, but I honestly feel that it's important to eat clean as possible. Eating organic can be expensive, but you will be surprised that some of the items are not as expensive as you think. A recent study shows what separates a healthy and non healthy diet is only a $1.50 a day. You can spend a 1.50 for a cup of coffee or a candy bar a day, so I think it's worth it!! You only have one body, so why not give it the best. Your body is your temple. Here are some creative ways to eat clean on a budget! Cut the junk. Evaluate how much you are spending on junk like chips, cookies, prepackaged foods, etc.. I'm not saying to cut it out completely, but minimize the amount you're spending. Your wallet will thank you! Eat out less. Try to plan your meals ahead of time. I like to plan out my meals a week ahead. Reducing your meals out can save you at least $15 to $20 a week. You will be able to spend that on higher quality foods. Eat less meat. According to the USDA, Americans consume 57 pounds more meat per year than they did 50 years ago. The idea of consuming for meat for breakfast, lunch, and dinner is a fairly new concept. Try switching to more meatless meals. During my meal planning, I like to have at least 3 meals that are meatless. Eat leftovers. I love eating leftovers! I think that most of the food taste better the next day. We like to eat the meal at least twice, and that also limits the meals you have to plan and cook. Buy in season. 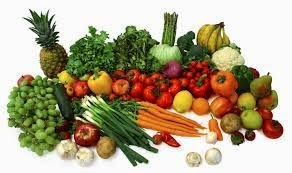 You will save money and improve your health if you buy season fruits and veggies. I also like to buy frozen berries during the winter months. Check out Aldi's. I was very surprised to find organic items for a reasonable price. If you have this grocery store in your local area, I recommend checking it out. I went this weekend and was able to purchase organic fruit, vegetables, snacks, my lasanga meal, and more for under $60.00.